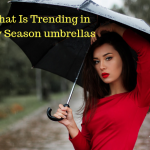 Custom gifts like umbrellas are tangible, which means they are hard to ignore like most forms of online marketing. 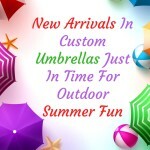 The recall rate for a well customized umbrella could be as high as 80% or more. 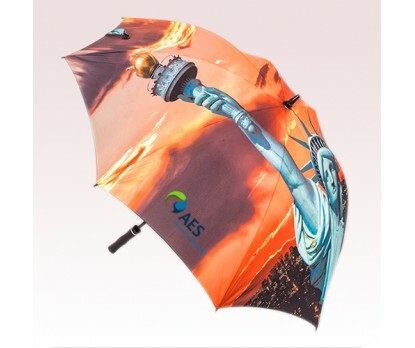 Your recipients will develop a positive impression about your brand on these functional and fashionable umbrellas that they touch, feel and see, often many times a day. 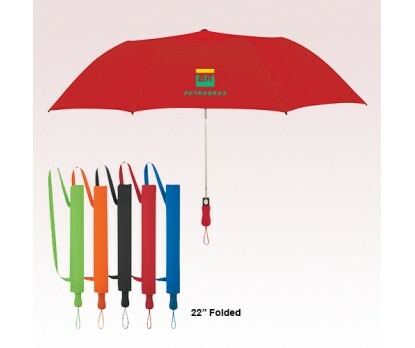 Printed Umbrella with Collapsible Cover These automatic open and close umbrellas will make a great handout to impress your audience. 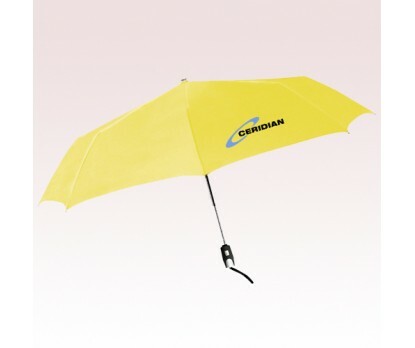 Plastic collapsible cover, polyester material and metal shaft are some of the features of these custom standard umbrellas. Choose from various attractive color choices to match your promotional theme. Silver Lining Umbrellas The silver lining of these umbrellas will enhance its visual appeal and the heat repellent features of these umbrellas. 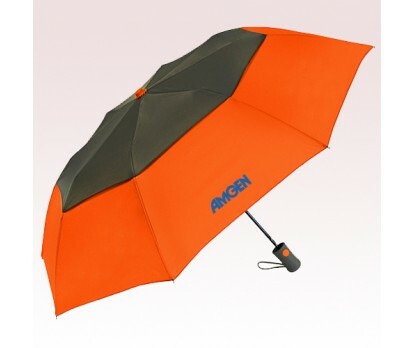 These 190T polyester automatic open umbrellas with metal shaft with comfort grip handle will make a great handout to promote all types of brands and businesses. Offered in various color choices like Black, Orange, Blue, Forest Green, or Red, these custom umbrellas will make eye popping additions to your winter promotional swag. Super-Mini Telescopic Folding Umbrellas handy and attractive, these polyester umbrellas make great handouts for business meetings and gatherings. The two tone design and the solid color choices will make these custom umbrellas an eye catching promo gift to pique quick attention. 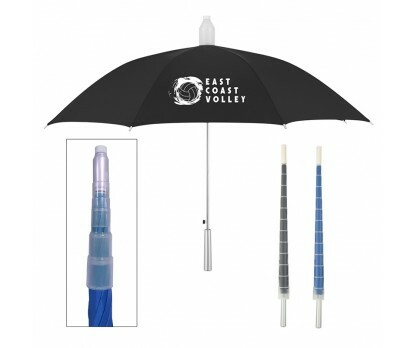 Put your promotional dime on these manual open umbrellas and get your logo spotted even in crowded events! Manhattan Auto Open and Close Umbrellas: Named after the fashion hub of Manhattan, these umbrellas take the credit of having both the best fashion and functional features. The Teflon(R) coating ensures extra water and stain resistance while the rubberized grip provides better grip. 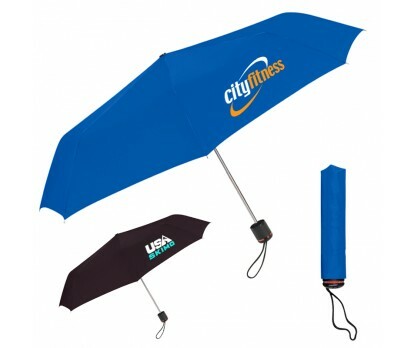 The wind resistant frames will make these umbrellas a great choice for the challenging weather elements. 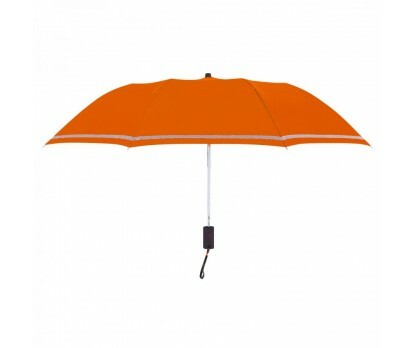 Vented Graphite Crown Umbrellas: The dual color pattern featuring a Graphite upper vent with bright colored lower vent options such as Lime Green, Orange, Red, White and Royal Blue will make these umbrellas a head turner. These automatic opening umbrellas with extra-strong Black metal shaft are great for the winter outdoors. Put your brand and message on these logo items to grab the undivided attention of everyone around. Have you used any of these logo items as your promotional items? Share your thoughts with us at our facebook page.